I had planned my debut post at Sweet Romance several weeks ago, which was going to show behind the scenes of Scrapbooking Mania at Romantic Times 2016, but something happened that changed my mind. My friend’s son returned home for a visit last week, and it called my heart to write a post about this special holiday in the United States. For those of you that do not reside in the United States, Memorial Day is the last Monday of May, and is a day in which those who died in active military service are remembered. I grew up hearing about my parent’s romance during the Vietnam War, and how my mother’s letters to him helped my dad through the war. Those who did not make it home usually had that one note from their sweetheart tucked safely in their pockets. There have been countless stories penned over the years that show us the great sacrifices our men and women have made to defend their people. Not just in America, but all over the world. Epic tales of war torn countries with battling clans, forbidden love between cultures or houses, love after war, aftermath of war, the ability to love again, and so many more. ***Warning, not all of these are ‘sweet romance’. After speaking with my friend’s son, I realized that the letters from loved ones still carry our soldiers through the darkness. I even discovered that these tough men and women love to read romantic tales while hunkered somewhere never knowing what is waiting across the sand or sea. 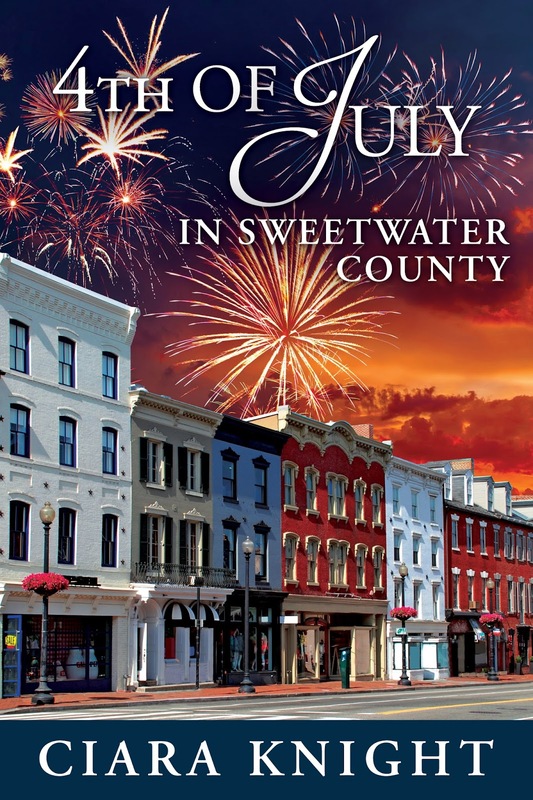 Leave a comment for your chance to win an e-copy of my upcoming release, 4th of July in Sweetwater County. This will close at 5:00PM EST on Monday, May 25th. I'll post the winner by 8:00AM on Tuesday, May 26th. Enjoy this holiday with your family and friends! To all our men and women overseas, and to those lost veterans’ who’ve served our country, I dedicate this post to you. July 23rd - Behind the Scenes Part II: A look at planning Love Our Readers Luncheon. Preorder available now at Amazon. Available at all online retailers May 25th. Love, love, love this book. A wounded hero. A heart wary heroine. It's a wonderful read. Thanks Ciara! My hero, my veteran, the love of my life, my husband. On this weekend every year we have a toast to his buddies that didn't make it back. And every year he never fails to cry as he remembers them. Thank your husband and friends from Facebook fans. What a great list of epic romances with war settings! A great big Thank you goes out to all Veteran's. Especially my Nephews. Brad and Joshua. You both a such wonderful men. My grandfather and many uncles (gone now)have also served. Linda - I choked up reading your comment. God Bless him for his service! Lola Riggs - Thank you to Brad and Joshua, the people of the United States thanks them for their service! Bless your grandfather and uncles for their sacrifice in the name of freedom. I'm afraid the giveaway was cut off. Sorry! 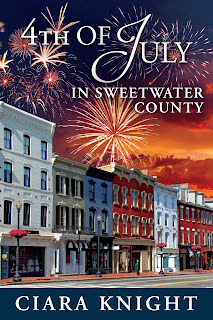 Anyhoo, leave a comment for your chance to win an e-copy of my upcoming release, 4th of July in Sweetwater County. This will close at 5:00PM EST on Monday, May 25th. I'll post the winner by 8:00AM on Tuesday, May 26th. Enjoy this holiday with your family and friends! I had friends whose brothers went to Viet Nam, and remember the homecoming that wasn't nearly what they deserve. I'm glad your parents were able to keep each other going during such a hard time. Yes, that was a huge issue during Viet Nam. Thanks for sharing your experience, Aileen Fish. My father served in WWII and my husband served in Viet Nam. Neither one would talk about it and i know the Viet Nam vets didn't receive the thanks that they should have. So I want to say Thank You for your service. Not just to my relatives but to all the men and women that serve our country. Beth - Eloquently put! Yes, I know most veterans struggle with speaking about their war time. It's sad, but I know that the VA is striving to change that. I hope they succeed. A meaningful blog post Ciara for me. Thank you for sharing these reads! I'm glad it touched you, Delene Yochum. It's such an important subject.